1). 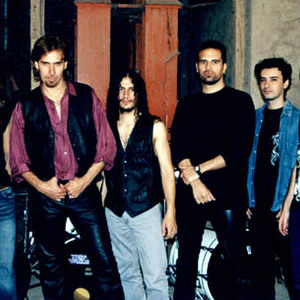 Power Metal band from Argentina formed in 1993 by guitar player Diego Del Rio y drummer Guillermo Saccomano. They have recorded 2 albums "A todo o nada" (Icarus Music, 2001) and "Legiones del sur" (Cruz del sur music, 2003). They appears in a couple of tribute albums like "A Tribute to the Priest" (Nems Enterprises, 2005) with bands like Hammer Fall, Primal Fear, Iced Earth and Ariadna Project among others, and "Trbuto a los reyes del metal" (Crazy Rabbit, 2002). 2). Jezabel (Colombia) raw black metal. Formed in '96. 2 split releases so far.